It was the first European Championship to feature 16 finalists, following UEFA's decision to expand the tournament from eight teams. Games were staged in eight cities and, although not all games were sold out, the tournament holds the European Championship's second-highest aggregate attendance (1,276,000) and average per game (41,158) for the 16-team format, surpassed only in 2012. It was also the first European Championships where 3 points for a win were awarded during the qualification and group stages, following the previous system of 2 points being awarded for a win, reflecting the growing use of this system in domestic leagues throughout the world during the previous decade. Germany won the tournament, beating the Czech Republic 2–1 in the final with a golden goal during extra time; this was the first major competition to be decided using this method. This was also Germany's first major title won as a unified nation. At the time of the bidding process, it had not yet been confirmed that sixteen teams would be participating. Instead, the bids were largely prepared as if hosting an eight-team tournament, meaning only four venues were due to be required. All candidates had to submit their plans by 10 December 1991. The hosting of the event was contested by five bids: Austria, England, Greece, the Netherlands and Portugal. The English bid was selected by the UEFA Executive Committee at a meeting in Lisbon on 5 May 1992. In the year preceding the decision, the English FA had dropped plans to also bid for the 1998 World Cup in order to gain the support of other UEFA members who were planning to bid for that event. The hosts, England, drew 1–1 with Switzerland in the opening match of Group A when Alan Shearer's 23rd-minute goal was cancelled out by a late Kubilay Türkyilmaz penalty kick. 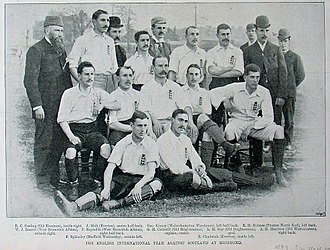 England defeated rivals Scotland 2–0 in their next game, and then produced one of their finest performances ever with a 4–1 win over the Netherlands. Patrick Kluivert's late goal for the Netherlands secured his team second place in the group and ensured that Scotland would exit another major competition on goal difference. Group B had Western European France and Spain, along with Balkan World Cup participants Romania and Bulgaria. France and Spain dominated the group, with France avenging Bulgaria for the 1994 qualification debacle, and World Cup quarter-finalists Romania going home, with no points and only one goal scored. Groups C and D saw the Czech Republic and Croatia, whose national teams had only recently come into existence, qualify for the knockout stages. 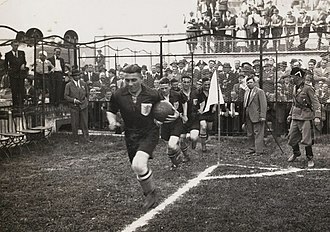 The Czechs lost to Germany, the eventual group winners, in their opener, but then defeated Italy and drew with Russia. Italy's defeat meant they had to beat Germany in their final game to progress, but the World Cup finalists could only manage a 0–0 draw and were eliminated. In Group D, Croatia qualified for the quarter-finals, with wins over Turkey (1–0) and Denmark (3–0). The loss to the Croats ultimately sent the Danes, the surprise champions of 1992, home. Turkey became the first team since the introduction of a group stage to be eliminated without gaining a point or scoring a goal. 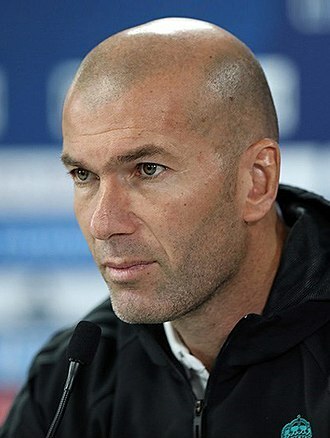 The other three quarter-finalists were Portugal (whose "Golden Generation" was competing at its first major tournament), Spain, and a France team featuring a young Zinedine Zidane. The knockout stages were characterised by negative, defensive play; as a result, only nine goals were scored in the seven games and four of the matches were decided on penalties. The first quarter-final between the hosts and Spain ended goalless, after Spain had two goals disallowed and two claims for a penalty denied. The English progressed 4–2 on spot kicks. France and Netherlands also played out a 0–0 draw, with France winning the penalty shootout 5–4. Jürgen Klinsmann opened the scoring for Germany in their match against Croatia. A goal from Davor Šuker evened the score after 51 minutes, before Matthias Sammer of Germany scored eight minutes later, and the game ended 2–1 to Germany. Czech Republic progressed after beating Portugal 1–0. The first semi-final, featuring France and Czech Republic, resulted in another 0–0 draw and penalties. Reynald Pedros was the one player to miss in the shootout, as Czech Republic won the penalty shoot-out 6–5. The other semi-final was a repeat of the 1990 World Cup semi-final between Germany and England. Alan Shearer headed in after three minutes to give his side the lead, but Stefan Kuntz evened the score less than 15 minutes later, and the score remained 1–1 after 90 minutes. 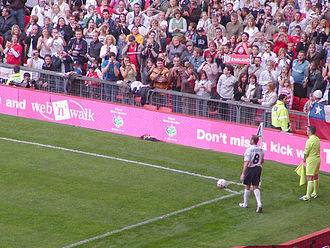 In extra time, Paul Gascoigne came very close to scoring a golden goal, but fractionally missed a cross from Shearer in front of the empty goal, Darren Anderton hit the post, and Kuntz had a goal disallowed for pushing. Neither team was able to find a second goal. In penalties, both sides scored their first five kicks, but in the sixth round, Gareth Southgate had his penalty saved, allowing Andreas Möller to score the winning goal. The final saw the Czech Republic hoping to repeat Euro 1976 when Czechoslovakia defeated West Germany; the Germans were aiming to win their third European Championship. Patrik Berger scored from a penalty in 59th minute to put the Czechs ahead. German substitute Oliver Bierhoff then scored to make it 1–1. Five minutes into extra time, Bierhoff's shot was mishandled by Czech goalkeeper Kouba and the ball ended up in the back of the net for the first golden goal in the history of the competition. Germany were European champions again, the first time as a unified country. On 30 November 1992, UEFA formally decided to expand the tournament to sixteen teams. UEFA cited the increased number of international teams following the recent break up of the Soviet Union and of Yugoslavia – rising from 33 UEFA members in 1988 to 48 by 1994 – as a driving factor behind the expansion. Forty-seven teams ultimately entered to compete for the fifteen remaining places in the finals, alongside hosts England. The draw for the qualifying competition took place in Manchester on 22 January 1994. The teams were divided into eight groups, each containing either six or five teams. The qualifying process began in April 1994 and concluded in December 1995. At the conclusion of the qualifying group stage in November 1995, the eight group winners qualified automatically, along with the six highest ranked second placed teams. The remaining two second placed teams – The Netherlands and the Republic of Ireland – contested a one-off play-off match in England to decide the final qualifier. With the extended format, three teams were able to qualify for their first European Championship: Bulgaria, Switzerland and Turkey. Croatia, the Czech Republic and Russia competed for the first time in their own right since the dissolution of Yugoslavia, Czechoslovakia and the Soviet Union (though the Russian team is considered by FIFA to be the direct descendant of the Soviet Union and CIS teams that had appeared in six past tournaments and the Czech team is the descendant of the Czechoslovakia team). Seven of the eight participants at the previous tournament in 1992 were again present, with only Sweden – despite also having finished third in the World Cup two years earlier – missing out. The draw for the final tournament took place on 17 December 1995 at the International Convention Centre in Birmingham. Only four teams were seeded: England (as hosts), Denmark (as holders), Spain and Germany. The remaining twelve teams were all unseeded and could be drawn in any group. ^ Hosts England were automatically assigned to position A1. ^ Defending champions Denmark were automatically assigned to Pot 1. In the draw procedure, the unseeded teams were drawn one-by-one and placed consecutively into four groups labeled I to IV. The first four were placed in position 4 of each group, the next four in position 3, and the last 4 in position 2. Next the four seeded teams were drawn and placed consecutively into position 1 of the groups. While it was decreed in advance that England's group (labeled as III) would be Group A, the remaining three groups then consecutively (from I, II, to IV) had a letter drawn to decide the name of their group, and therefore determine what venues they would play at. The balls were drawn by UEFA figures Gerhard Aigner and Lennart Johansson. 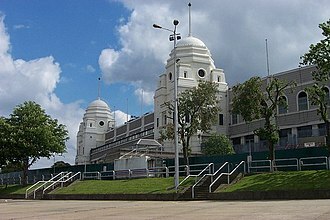 Since the implementation of the Taylor Report in 1990, following the 1989 Hillsborough stadium disaster, England now had enough all-seater stadia of sufficient capacity to hold an expanded tournament due to the necessary stadium refurbishment by its leading clubs. The stadium capacities listed in the table are for the time of the tournament. Each national team had to submit a squad of 22 players, three of whom must be goalkeepers. To accommodate the expansion from an 8-team finals tournament to 16 teams, the format was changed from that used in 1992 with the addition of two extra groups in the group stage, and an extra round in the knockout phases. The four groups (A to D) still contained four teams each, with the top two from each group still going through to the knockout phase. 8 teams then went into the new quarter-finals, ahead of the usual semi-finals and final, with 8 teams going out at the group stage. The format is exactly the one which was applied to the 1962, 1966 and 1970 World Cups, except for the absence of a third place play-off. A custom version of the Adidas Questra, the Questra Europa, was the official match ball of the championships. The design of the ball included a reworking of the England badge, and was the first coloured ball in a major football tournament. Match officials are listed in the two collapsed tables below. The teams finishing in the top two positions in each of the four groups progress to the quarter-finals, while the bottom two teams in each group were eliminated from the tournament. For the first time at a European Championship three points were awarded for a win, with one for a draw and a none for a defeat. All times are local, BST (UTC+1). Position using UEFA's national team coefficient ranking system calculated using average points per game from: the Euro 1992 qualifying stage and final tournament, the 1994 World Cup qualifying stage and final tournament and the Euro 1996 qualifying stage. The knockout stage was a single-elimination tournament with each round eliminating the losers. Any game that was undecided by the end of the regular 90 minutes, was followed by up to thirty minutes of extra time. For the first time in a major football competition, the golden goal system was applied, whereby the first team to score during the extra time would become the winner. If no goal was scored there would be a penalty shoot-out to determine the winner. For the first time the final was won by a golden goal. There were 64 goals scored in 31 matches, for an average of 2.06 goals per match. 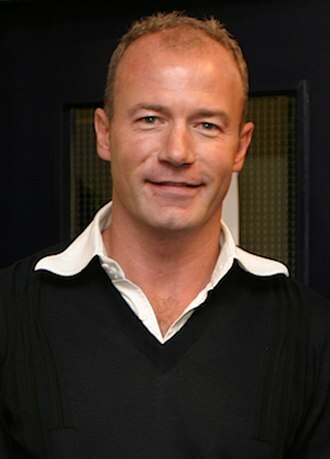 Alan Shearer was awarded the Golden Boot award, after scoring five goals in the group stage and in the semi-finals against Germany. 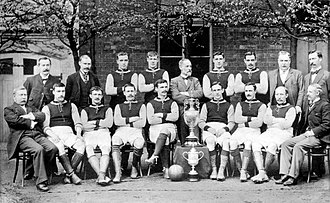 The competition slogan was Football Comes Home reflecting that the sport's rules were first standardised in the United Kingdom. UEFA President Lennart Johansson had said that the organisation had felt it time to bring the event "back to the motherland of football". The slogan was incorporated into the competition's most popular song: "Three Lions" recorded by comedians David Baddiel and Frank Skinner with Britpop band the Lightning Seeds. Baddiel and Skinner were then strongly connected with football owing to their BBC show Fantasy Football League. Released as a single, the song topped the UK Singles Chart for a total of two weeks. It was promoted by a video featuring the England squad. The song was prominently sung by England fans during all their games, and was also chanted by the German team upon parading the trophy in Berlin after the tournament. It was even referenced by future Prime Minister Tony Blair in an address at the 1996 Labour Party Conference with the line: "Seventeen years of hurt, never stopped us dreaming, Labour's coming home". 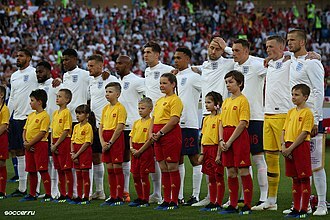 "Three Lions" was the official song of the England team, and is the song most strongly connected with the tournament, however the official song of the tournament was "We're in This Together" by Simply Red. The song was performed at the tournament's opening ceremony. The British Royal Mint issued a commemorative £2 coin in 1996, which featured a representation of a football, "1996" in the centre, and 16 small rings representing the 16 competing teams. Further special coins were only issued in the Isle of Man and Gibraltar. The official mascot, 'Goaliath', was designed in a similar fashion to the original World Cup mascot from the 1966 World Cup. 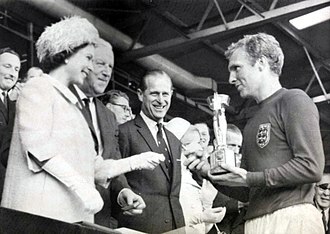 Goaliath comprised a lion, the image on the English team crest, dressed in an England football strip and football boots whilst holding a football under his right arm. A terrorist attack took place in Manchester on 15 June, one day before the group stage match between Germany and Russia was due to take place in the same city. The detonation of a van bomb in the city centre injured 212 people and caused an estimated £700 million worth of damage. Four days after the blast, the Provisional Irish Republican Army issued a statement in which it claimed responsibility, but regretted causing injury to civilians. The Manchester bombing was the first and so far only major terrorist attack in the host city of an ongoing UEFA European Championship. The scheduled match at Old Trafford on the day following the bombing went ahead as planned after the stadium had been heavily guarded overnight and carefully searched; the game, in which Germany defeated Russia 3–0, was watched by a near capacity crowd of 50,700. After England's defeat to Germany in the semi-finals, a large-scale riot took place in Trafalgar Square and the surrounding area. Further outbreaks of trouble occurred in the streets of several other towns. The police, German-made cars were targeted, with damage also caused to various other properties. A Russian student was stabbed in Brighton after attackers mistook him for being German. Despite this outbreak, the tournament overall was free of hooliganism, helping rehabilitate England's reputation after their fans' conduct during the previous decades. UEFA's awarding of the tournament to England was in itself a further step in bringing the country back fully into the international fold, coming soon after their decision in 1990 to re-admit English clubs back into UEFA competitions after the indefinite ban issued to them following the Heysel Stadium disaster in 1985. ^ Gallagher suffered an injury in the 28th minute and was replaced by fourth official Paul Durkin (England). ^ Bevan, Chris (17 May 2012). "Euro 1996: When football came home". BBC Sport. British Broadcasting Corporation. ^ "Euro 2012 Shatters Attendance Record". Sports Business Daily. 3 July 2012. Retrieved 21 June 2014. ^ White, Clive (9 June 1992). "England wait ends in 1996". The Times. London. ^ Jones, Stuart (4 December 1991). "Rivals to be given extra time". The Times. London. ^ a b Jones, Stuart (5 May 1992). "England will host 1996 Championship". The Times. London. ^ Ridley, Ian (9 June 1996). "Shearer bliss, sheer agony". The Independent. Independent Print. Retrieved 21 June 2012. ^ Moore, Glenn (19 June 1996). "England's night of rapture". The Independent. Independent Print. Retrieved 21 June 2012. ^ "Kluivert's late strike sinks Scotland". The Independent. Independent Print. 19 June 1996. Retrieved 21 June 2012. ^ Hodgson, Guy (11 June 1996). "Dugarry makes the difference". The Independent. Independent Print. Retrieved 21 June 2012. ^ Hodgson, Guy (17 June 1996). "Euro '96: Clemente short of firepower". The Independent. Independent Print. Retrieved 21 June 2012. ^ Hodgson, Guy (19 June 1996). "France banish the ghost of Bulgaria to reach last eight". The Independent. Independent Print. Retrieved 21 June 2012. ^ Culley, Jon (19 June 1996). "Spanish eyes are smiling for Amor". The Independent. Independent Print. Retrieved 21 June 2012. ^ Hodgson, Guy (15 June 1996). "Italians left on the brink of disaster". The Independent. Independent Print. Retrieved 21 June 2012. ^ Shaw, Phil (20 June 1996). "Smicer strike takes Czechs through". The Independent. Independent Print. Retrieved 21 June 2012. ^ Moore, Glenn (20 June 1996). "Passion play not enough to save Italy". The Independent. Independent Print. Retrieved 21 June 2012. ^ Shaw, Phil (17 June 1996). "Euro '96: Suker sinks Denmark". The Independent. Independent Print. Retrieved 21 June 2012. ^ Brewin, John (1 May 2008). 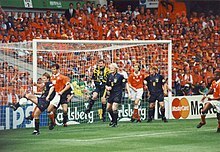 "Euro '96". ESPNSoccernet. Retrieved 10 June 2012. ^ a b Moore, Glenn (24 June 1996). "Fortune favours brave England". The Independent. Independent Print. Retrieved 20 June 2012. ^ a b Turnbull, Simon (24 June 1996). "Fitful France advance". The Independent. Independent Print. Retrieved 20 June 2012. ^ a b Shaw, Phil (24 June 1996). "Croatia punished by Sammer". The Independent. Independent Print. Retrieved 20 June 2012. ^ a b Culley, Jon (24 June 1996). "Poborsky piques Portugal". The Independent. Independent Print. Retrieved 20 June 2012. ^ Metcalf, Rupert (25 June 1996). "Poborsky rides Euro express". The Independent. Independent Print. Retrieved 19 June 2012. ^ a b Shaw, Phil (27 June 1996). "France are sent home by Kadlec". The Independent. Independent Print. Retrieved 21 June 2012. ^ a b Moore, Glenn (27 June 1996). "Shoot-out breaks England hearts". The Independent. Independent Print. Retrieved 20 June 2012. ^ a b Jones, Ken (1 July 1996). "Vogts' triumph over adversity". The Independent. Independent Print. Retrieved 21 June 2012. ^ Jones, Stuart (1 December 1992). "UEFA has change of heart". The Times. London. ^ Jones, Stuart (13 November 1992). "Championship field likely to be doubled". The Times. London. ^ Hughes, Rob (22 January 1994). "Manchester's grief puts draw under cloud". The Times. London. ^ a b Hughes, Rob (24 January 1994). 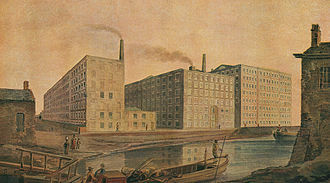 "Comfort for England in playing host to Europe". The Times. London. ^ a b c d "England may draw Scotland". The Independent. 16 December 1995. ^ "Lot Oranje last voor fans" [Oranje draw burden for fans]. De Stem (in Dutch). Breda. 18 December 1995. Retrieved 20 November 2017. ^ "The Official UEFA European Championship 1996 Tournament Match ball". SoccerBallWorld.com. 22 January 2004. ^ "All-Star Macca". Sunday Mirror. The Free Library. 30 June 1996. Retrieved 13 July 2012. ^ a b c "UEFA Euro 2008 Information" (PDF). UEFA. p. 88. Retrieved 30 June 2008. ^ a b Rampton, James (17 May 1996). "Song for Euro 96 ready for airplay". The Independent. Independent Print. Retrieved 15 July 2012. ^ "Number Ones in 1996". number-ones.co.uk. ^ "Blair: My Decent Society". The Independent. London. 22 October 1996. ^ "Mind-bender Uri Geller". Daily Mirror. London. 8 June 1996. ^ Longmore, Andrew (22 May 1996). "Euro 96 coins enjoy royal approval". The Times. London. ^ "EURO 2012 mascots have big shoes to fill". UEFA.com. Union of European Football Associations. 6 December 2010. ^ a b c d e f g h i j k Carter, Meg (2 June 1996). "The fever pitch at Euro 96". The Independent. Independent Print. Retrieved 15 July 2012. ^ a b c d e f g h i j k Cook, Richard (24 May 1996). "Euro 96 – What's in it for you?". PRWeek. Retrieved 15 July 2012. ^ "IRA's message in blood". The Independent. London. 16 June 1996. ^ "IRA apologises to bomb victims". The Independent. London. 20 June 1996. ^ a b "England fans riot after defeat". The Times. London. 27 June 1996. ^ Lee, Adrian (28 June 1996). "Russian stabbed for sounding like a German". The Times. London. ^ Miller, David (3 June 1985). "England punished for years of indiscipline". The Times. London. ^ Ball, Peter (19 April 1990). "The door opens on Europe". The Times. London. 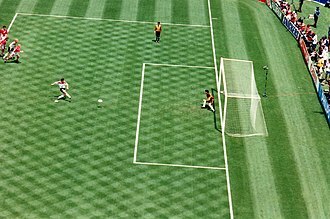 Wikimedia Commons has media related to UEFA Euro 1996. The national team was founded in 1901, existing under the previously mentioned names before the separation of Czechoslovakia in 1992. Their first international competition as the Czech Republic was the UEFA Euro 1996, where they finished runners-up, following the separation, they have only featured in one FIFA World Cup, the 2006 tournament, where they were eliminated in the first round of the competition. Bohemia played a match against Yugoslavia and Germany in 1939 while being the Protectorate of Bohemia and Moravia, when the Czech Republic was part of Czechoslovakia, the national team had runner-up finishes in World Cups and a European Championship win in 1976. The newly formed team played their first home game in Ostrava, against Lithuania, in which registered their first home win. Their first competitive match was part of the UEFA Euro 1996 qualifying campaign, in the final tournament, hosted by England, the Czechs progressed from the group stage, despite a 2–0 opening game defeat to Germany. They continued their form, and progressed to the UEFA Euro 1996 final. Given their success at Euro 1996, the Czechs were expected to qualify for the 1998 FIFA World Cup and they finished third in their qualifying group, behind Spain and Yugoslavia, and subsequently missed the tournament. The Czech Republic qualified for Euro 2000, winning all ten of their group games, in the finals the team were drawn in Group D, alongside 1998 FIFA World Cup winners France, co-hosts the Netherlands and UEFA Euro 1992 winners Denmark. This was considered to be the most difficult group to advance from in the tournament, the team were unlucky in the first match against the Netherlands as they hit the woodwork multiple times before losing 1–0 to a last-minute penalty. The Czechs lost their match against eventual champions France 2–1 which eliminated them from advancing to the knockout round. Czech Republic managed a 2–0 win against Denmark in their final game courtesy of two goals from Vladimír Šmicer, the team were unbeaten in 2002 and 2003, scoring 53 goals in 19 games and easily qualifying for Euro 2004 in the process. Patrick Stephan Kluivert is a former Dutch footballer and coach, and the current director of football for Paris Saint-Germain in France. He played as a striker, most notably for AFC Ajax, FC Barcelona and he was already part of Ajaxs Golden Generation of the 1990s at the age of 18, scoring the winner in the 1995 UEFA Champions League Final. Kluivert played for the Dutch national team from 1994 to 2004, with 40 goals in 79 appearances, he is the third highest top goalscorer for Ons Oranje. He played in three European Championships and the 1998 FIFA World Cup, and was joint top scorer at Euro 2000 where upon the scoresheet he tallied a total of 5 times. In 2004, he was named in the FIFA100, a list of the 125 greatest living footballers chosen by Pelé as part of FIFAs centenary observances and he began his coaching career as an assistant at AZ and NEC. He had a coaching stint in Australia with the Brisbane Roar. He was assistant manager to Louis van Gaal with the Netherlands national football team when they finished third at the 2014 FIFA World Cup in Brazil. In 2015 he took over as coach of the Curaçao national team for the countrys 2018 FIFA World Cup qualifying. In 2016 it was announced that he would take over the Ajax A1 selection, coaching his son, Justin Kluivert, Kluivert was born on 1 July 1976 in Amsterdam, Netherlands. His father, a football player, was born in Suriname. Kluivert learned to play football on the street, after a year at football club Schellingwoude, he joined the Ajax Youth Academy at the age of seven. He played several different positions as a youth, including defender and he was strong in technique, football intelligence, and speed, but was considered too impulsive. Kluivert played for the Dutch national teams under-15, under-16 and under-17, Kluivert was part of Ajaxs Golden Generation of the 1990s. He made his debut in the team of Ajax on 21 August 1994 at the age of 18 in the Dutch Supercup win against the old arch rival Feyenoord. He went on to top score for Ajax in the 1994–95 Eredivisie with 18 goals in 25 appearances, Kluivert came off the bench to score an 85th-minute winner in the 1995 Champions League Final against A. C.
The Germany national football team is the mens football team that has represented Germany in international competition since 1908. It is governed by the German Football Association, founded in 1900, ever since the DFB was reinaugurated in 1949 the team has represented the Federal Republic of Germany. Both have been absorbed along with their records by the current national team, the official name and code Germany FR was shortened to Germany following the reunification in 1990. Germany is one of the most successful teams in international competitions, having won a total of four World Cups. They have been three times in the European Championships, four times in the World Cup, and a further four third-place finishes at World Cups. East Germany won Olympic Gold in 1976, Germany is the only nation to have won both the mens and womens World Cups. At the end of the 2014 FIFA World Cup, Germany earned the highest Elo rating of any football team in history. Germany is the only European nation that has won a FIFA World Cup in the Americas, the current manager of the national team is Joachim Löw. Germanys first championship title was won in Switzerland. At that time the players were selected by the DFB, as there was no dedicated coach, the first manager of the Germany national team was Otto Nerz, a school teacher from Mannheim, who served in the role from 1926 to 1936. After a poor showing at the 1936 Olympic Games in Berlin, in 1937 he put together a squad which was soon nicknamed the Breslau Elf in recognition of their 8–0 win over Denmark in the German city of Breslau, Lower Silesia. In the 1938 World Cup that began on 4 June, this united German team managed only a 1–1 draw against Switzerland and that early exit stands as Germanys worst World Cup result. During World War II, the team played over 30 international games between September 1939 and November 1942, when national team games were suspended, as most players had to join the armed forces. After the Second World War, Germany was banned from competition in most sports until 1950, the DFB was not a full member of FIFA, and none of the three new German states — West Germany, East Germany, and Saarland — entered the 1950 World Cup qualifiers. 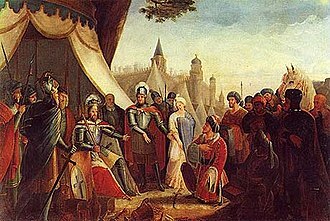 The end of the unification process is officially referred to as German unity, celebrated on 3 October. Following German reunification, Berlin was once designated as the capital of united Germany. The East German regime started to falter in May 1989, when the removal of Hungarys border fence with Austria opened a hole in the Iron Curtain and it caused an exodus of thousands of East Germans fleeing to West Germany and Austria via Hungary. The united Germany is the continuation of the Federal Republic. For political and diplomatic reasons, West German politicians carefully avoided the term reunification during the run-up to what Germans frequently refer to as die Wende, after 1990, the term die Wende became more common. The term generally refers to the events led up to the actual reunification, in its usual context. When referring to the events surrounding unification, however, it carries the connotation of the time. 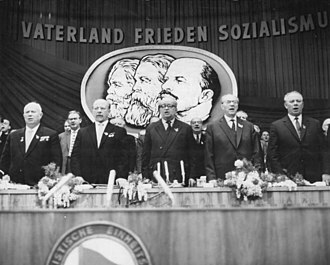 However, anti-communist activists from Eastern Germany rejected the term Wende as it was introduced by SEDs Secretary General Egon Krenz, the capital city of Berlin was divided into four occupied sectors of control, under the Soviet Union, the United States, the United Kingdom and France. Germans lived under such imposed divisions throughout the ensuing Cold War, into the 1980s, the Soviet Union experienced a period of economic and political stagnation, and they correspondingly decreased intervention in Eastern Bloc politics. 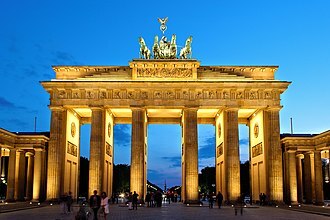 In 1987, US President Ronald Reagan gave a speech at Brandenburg Gate challenging Soviet leader Mikhail Gorbachev to tear down this wall that had separated Berlin. The wall had stood as an icon for the political and economic division between East and West, a division that Churchill had referred to as the Iron Curtain. 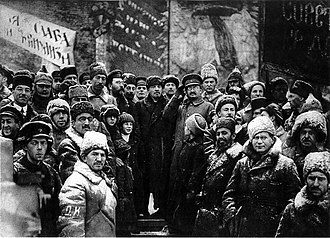 In early 1989, under a new era of Soviet policies of glasnost and taken to more progressive levels by Gorbachev. 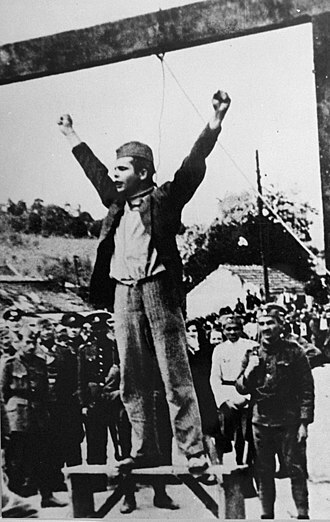 Further inspired by images of brave defiance, a wave of revolutions swept throughout the Eastern Bloc that year. 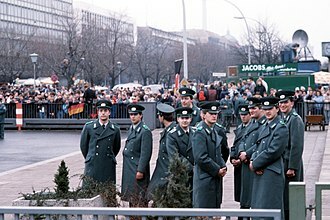 In May 1989, Hungary removed their border fence and thousands of East Germans escaped to the West, events rapidly came to a head in early 1990. First, in March, the Party of Democratic Socialism—the former Socialist Unity Party of Germany—was heavily defeated in East Germanys first free elections. The 2012 UEFA European Championship, commonly referred to as UEFA Euro 2012 or simply Euro 2012, was the 14th European Championship for mens national football teams organised by UEFA. Poland and Ukraines bid was chosen by UEFAs Executive Committee on 18 April 2007, the two host teams qualified automatically while the remaining 14 finalists were decided through a qualifying competition, featuring 51 teams, from August 2010 to November 2011. This was the last European Championship to employ the 16-team finals format in use since 1996, from Euro 2016 onward, Euro 2012 was played at eight venues, four in each host country. Five new stadiums were built for the tournament, and the hosts invested heavily in improving infrastructure such as railways, Euro 2012 set attendance records for the 16-team format, for the highest aggregate attendance and average per game. Spain became the first team to win two consecutive European Championships, and three major tournaments. Spain had already gained entry to the 2013 Confederations Cup by winning the 2010 World Cup, as at Euro 2008 in Austria and Switzerland, both 2012 host nations were eliminated in the group stage. The hosting of the event was contested by five bids representing seven countries, Croatia–Hungary, Italy, Poland–Ukraine. In November 2005, after a consideration of the bid data by UEFA. In May 2006, this was followed by a round of the selection process. The final decision was due to be announced on 8 December 2006 in Nyon, on 18 April 2007, the Poland–Ukraine bid was chosen by a vote of the UEFA Executive Committee, at a meeting in Cardiff. Poland–Ukraine became the successful joint bid for the European Championship, after those of Belgium–Netherlands. Their bid received a majority of votes, and was therefore announced the winner. There were some alterations from the initial bid plan, regarding the venues. The draw for the UEFA Euro 2012 qualifying competition took place in Warsaw on 7 February 2010, fifty-one teams entered to compete for the fourteen remaining places in the finals, alongside co-hosts Poland and Ukraine. The teams were divided into nine groups, with the using the new UEFA national team coefficient for the first time in order to determine the seedings. Helmut Rahn scored the winning goal in the 1954 FIFA World Cup final. Following France's World Cup win, an image of Zidane was projected on the Arc de Triomphe (pictured) along with the words "Merci Zizou". His tears in the national limelight made Gascoigne famous enough to be lampooned on Spitting Image. His puppet, which employed projectile tears, is now on display at the National Football Museum.